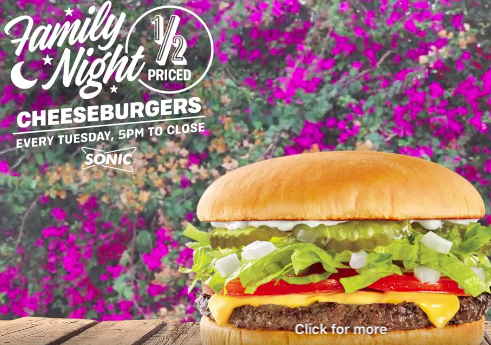 SONIC will be offering ½ price Cheeseburgers EVERY Tuesday from 5pm to close for Family Night. Details: Single-patty cheeseburgers only. No Limit. Tax not included. Add-ons cost extra. Cannot be combined with other offers. Offer valid Tuesdays, starting 03/28/17, at participating SONIC Drive-Ins while supplies last. 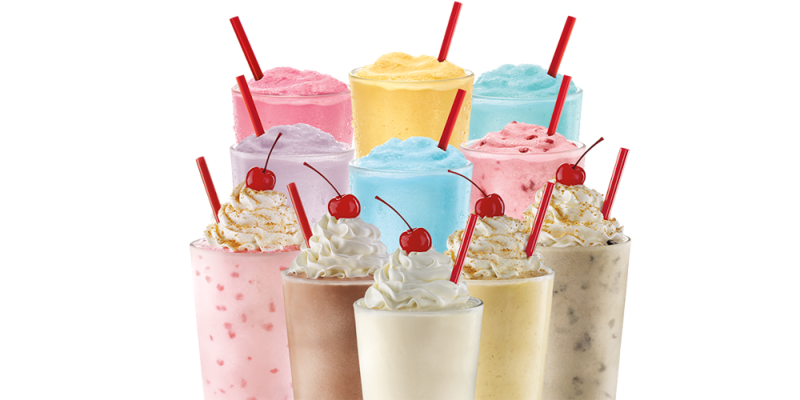 Sonic also offers 1/2 Price Shakes & Ice Cream Slushes After 8PM every night. Sonic is located in Latham. This entry was posted in Capital Region Deals and tagged Sonic. Bookmark the permalink.